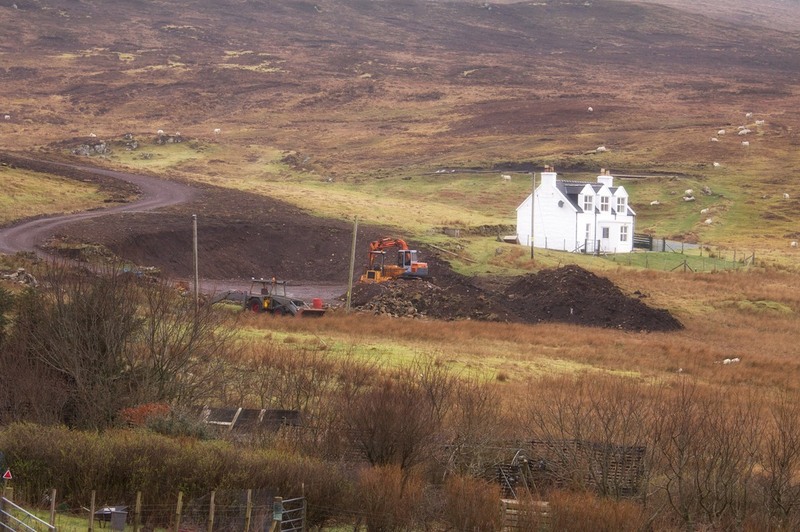 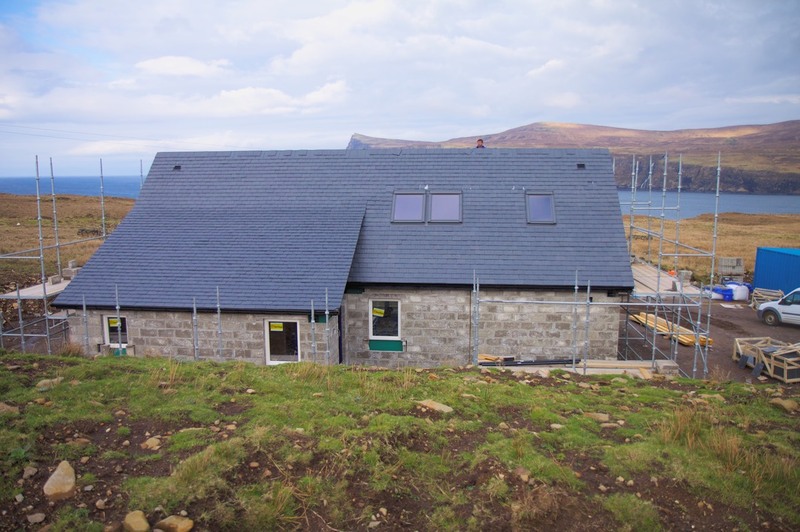 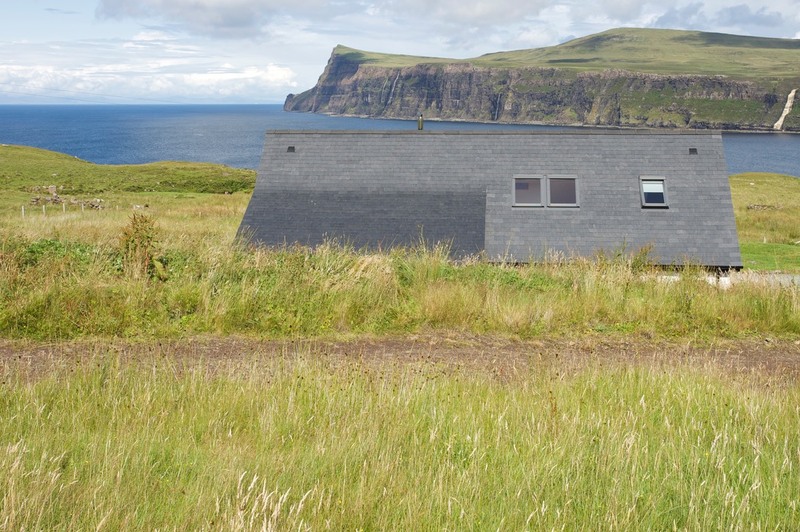 Images of Pooltiel House in Milovaig on Skye Scottish West Coast. 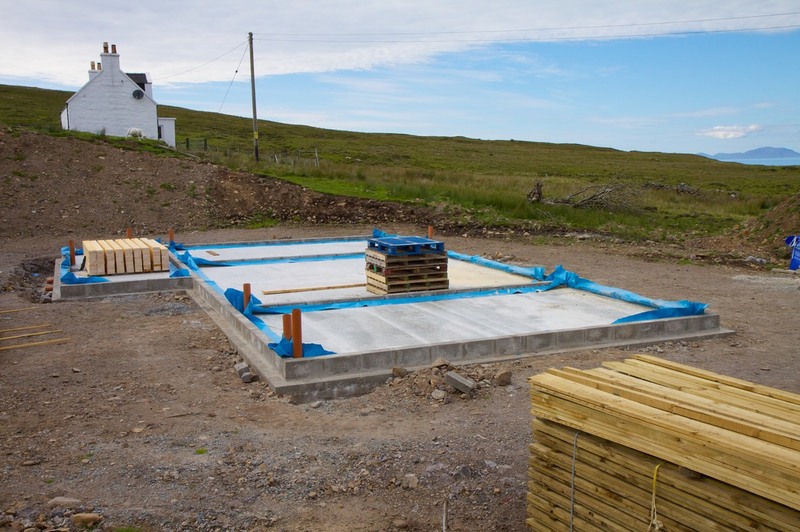 These pictures give you an idea of the project and of the final result. 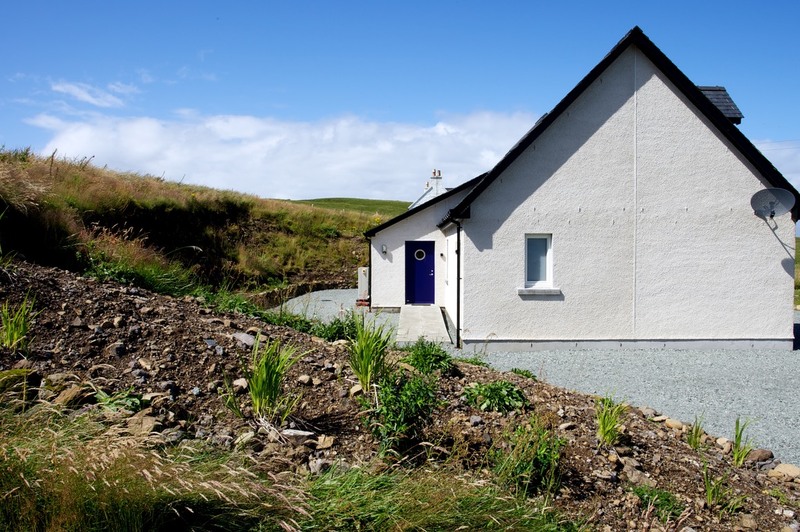 Spacious entry, bordered by dry stone wall. 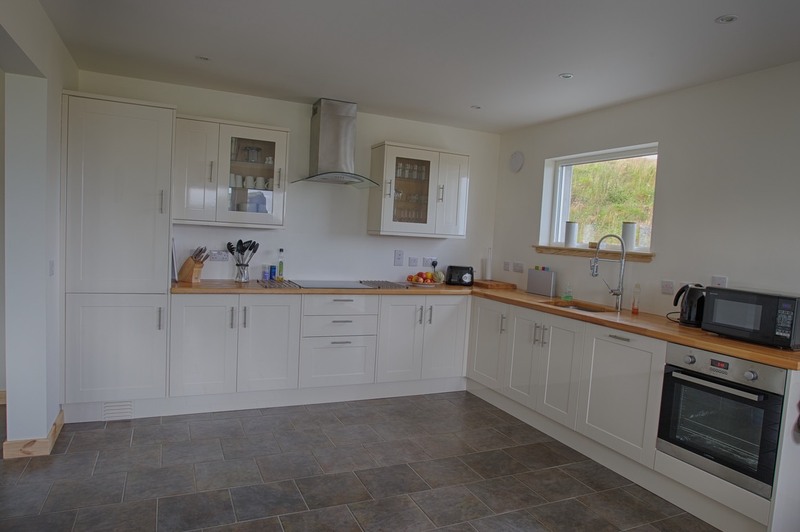 Open plan living and kitchen with seaview, wood burning stove and tiled floor with underfloor heating. 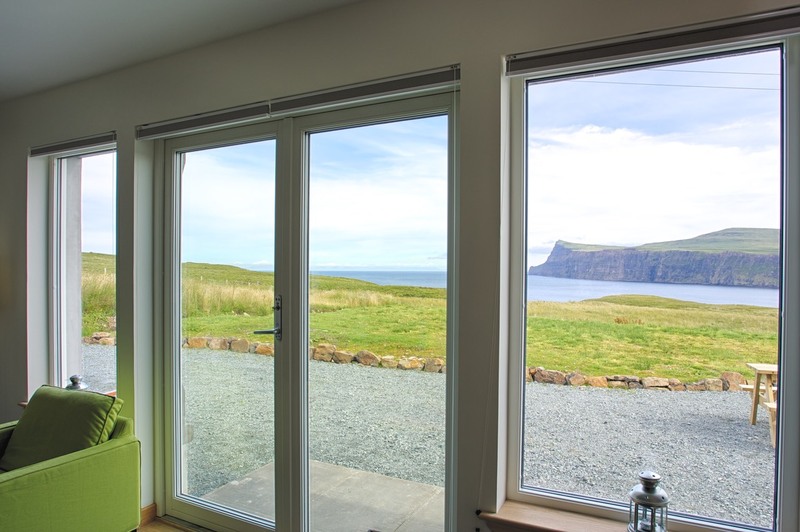 Seaview from the living in Pooltiel House. 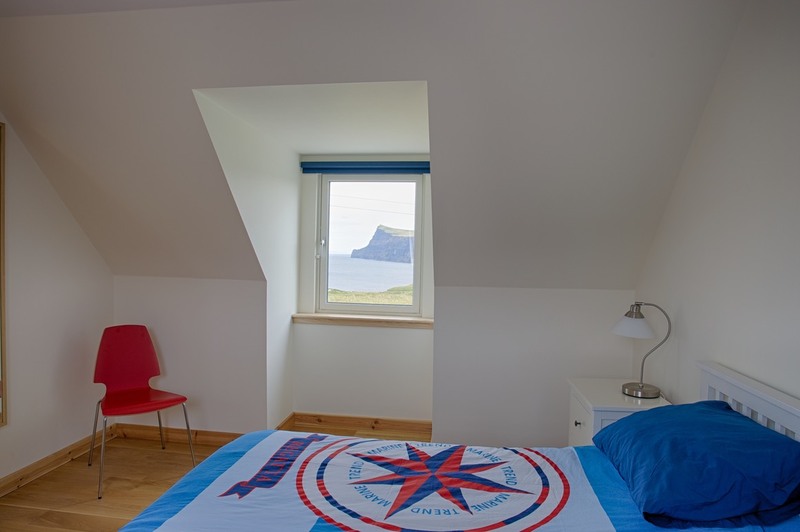 Ground floor bedroom with seaview and en suite. 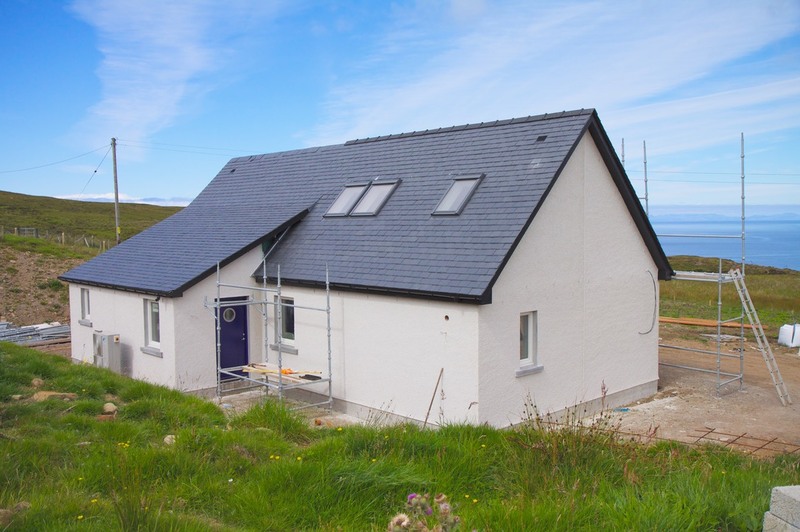 Landing with two bedrooms (oak floors) and a showerroom with toilet. 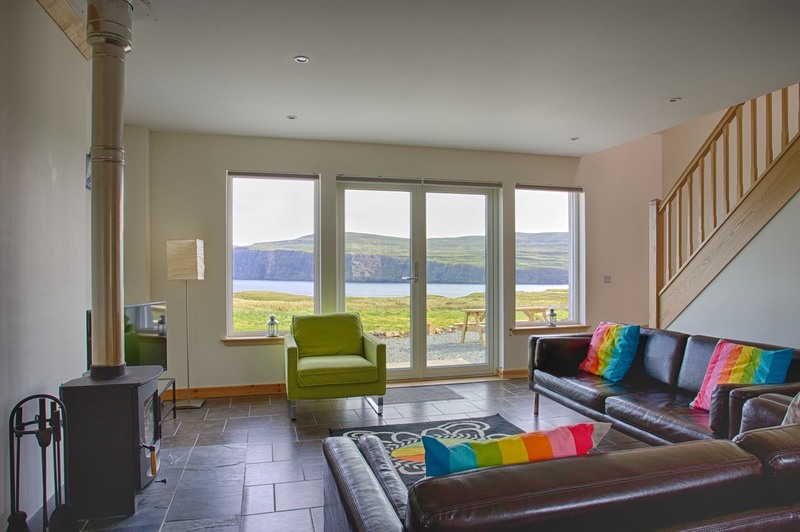 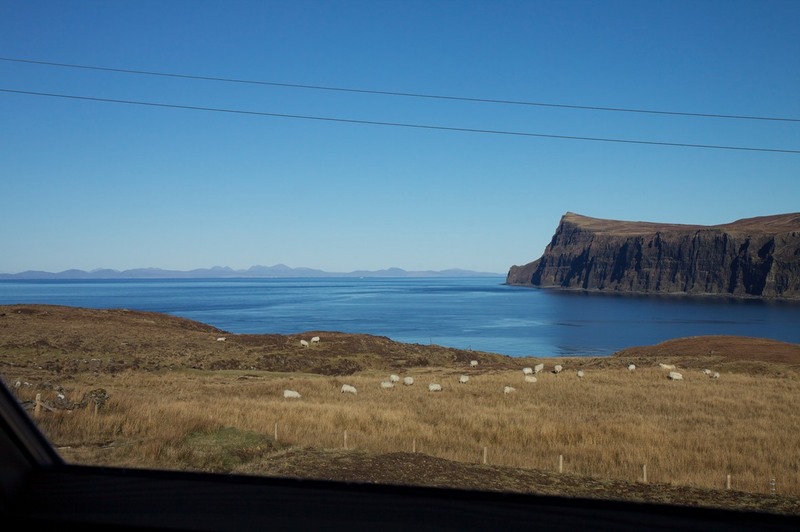 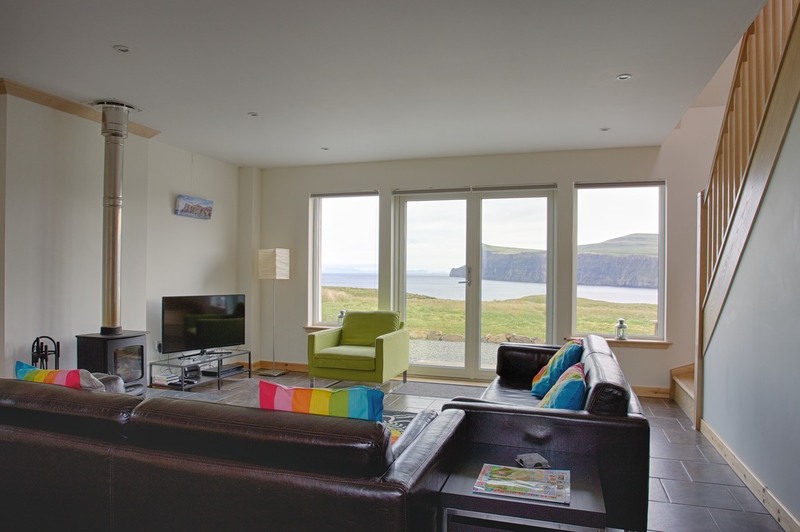 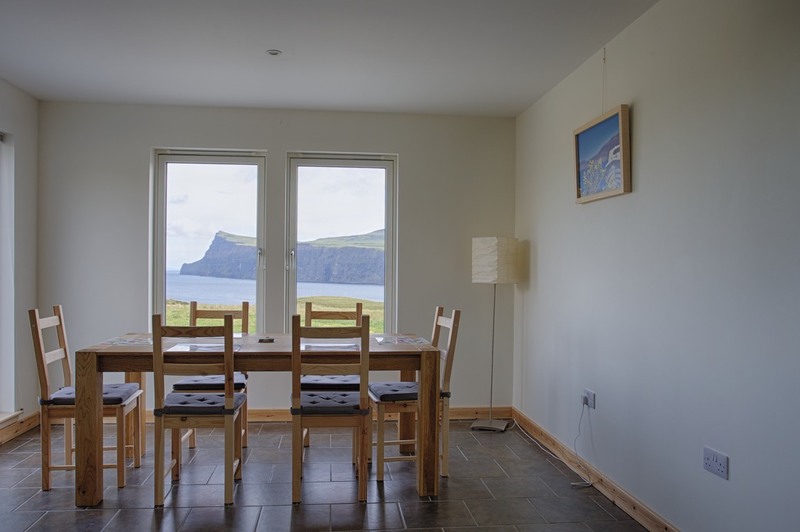 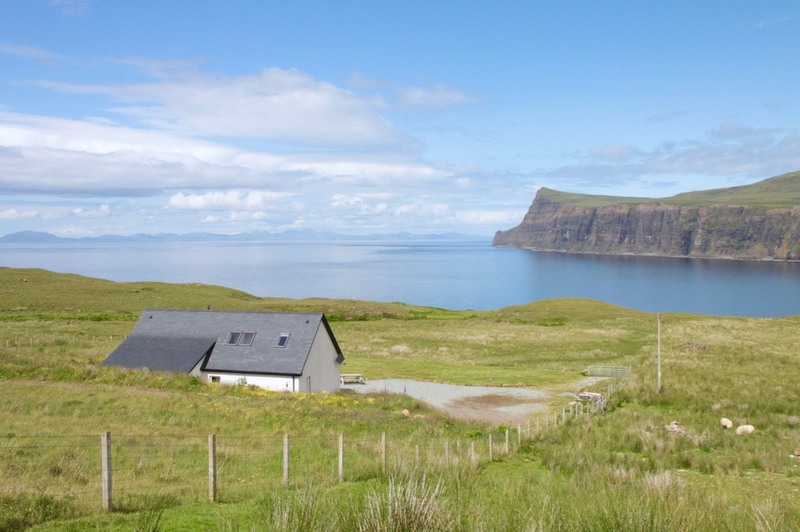 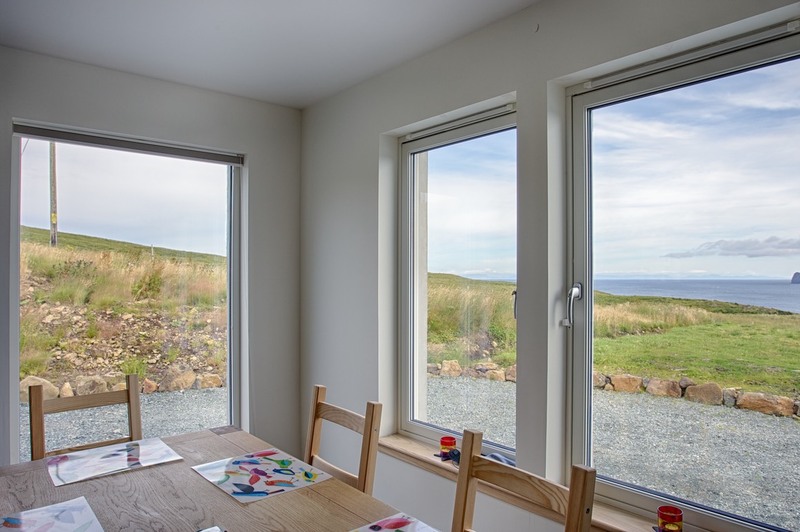 All rooms have view on the cliffs of Dunvegan Head, Loch Pooltiel and the Minch. 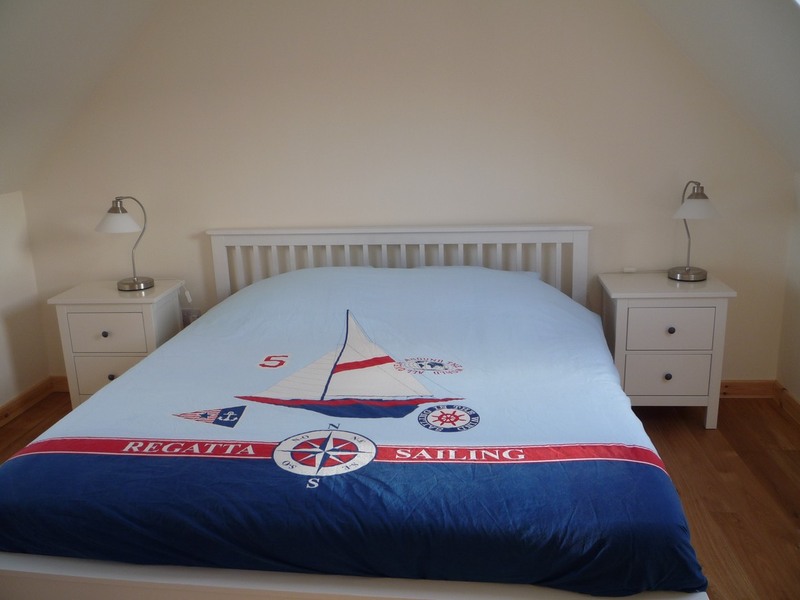 One upstairs bedroom with super king size. 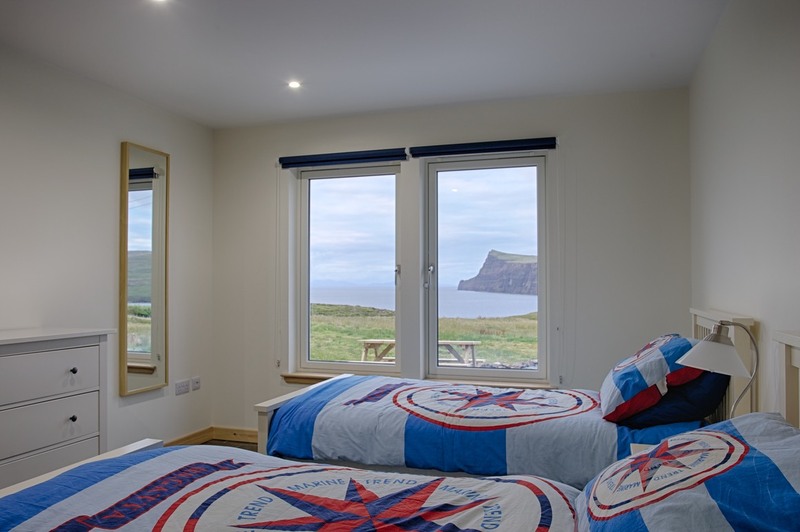 View from the bedroom with the super king size. 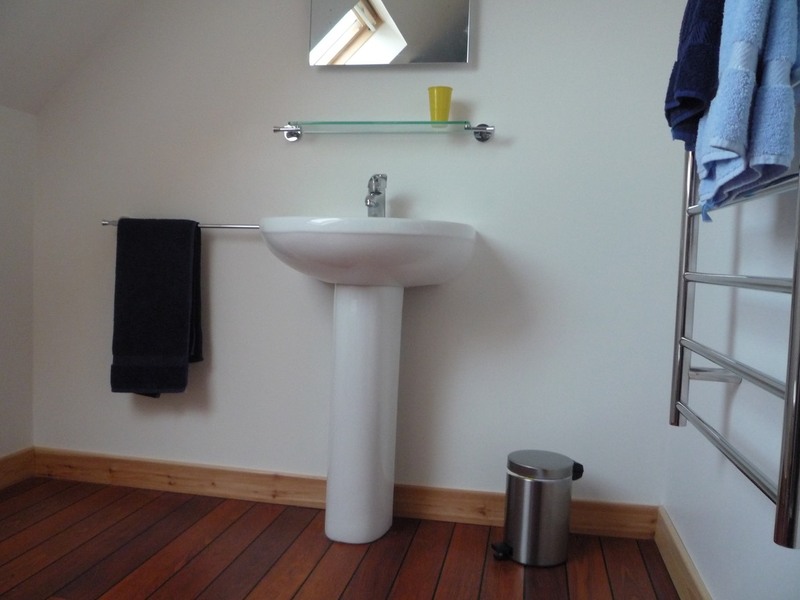 Upstairs showerroom with toilet and washbasin. 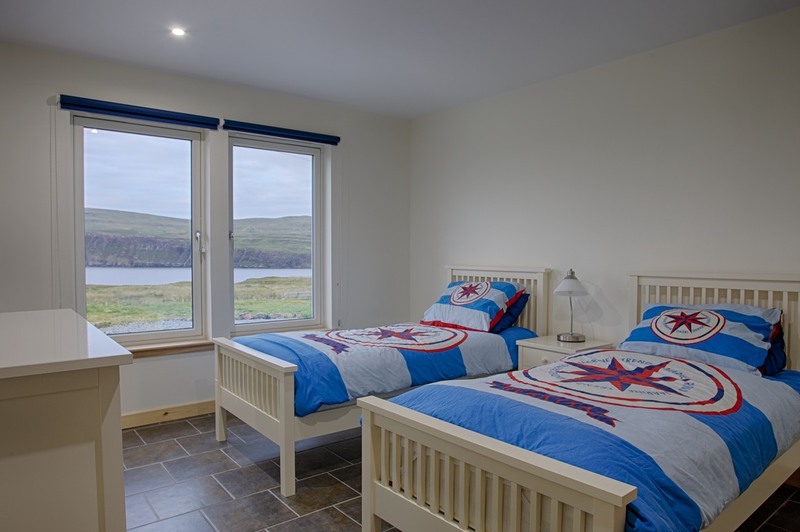 View from the upstairs showerroom. 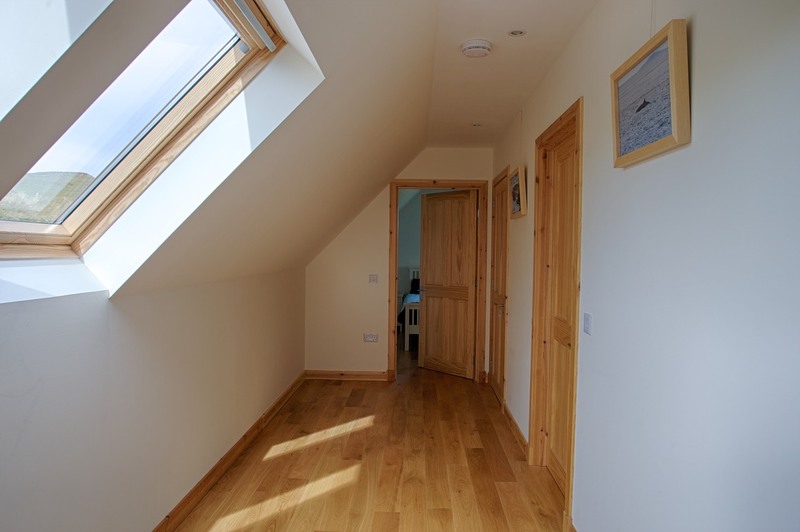 View west from the gable window in the twin bedroom upstairs. 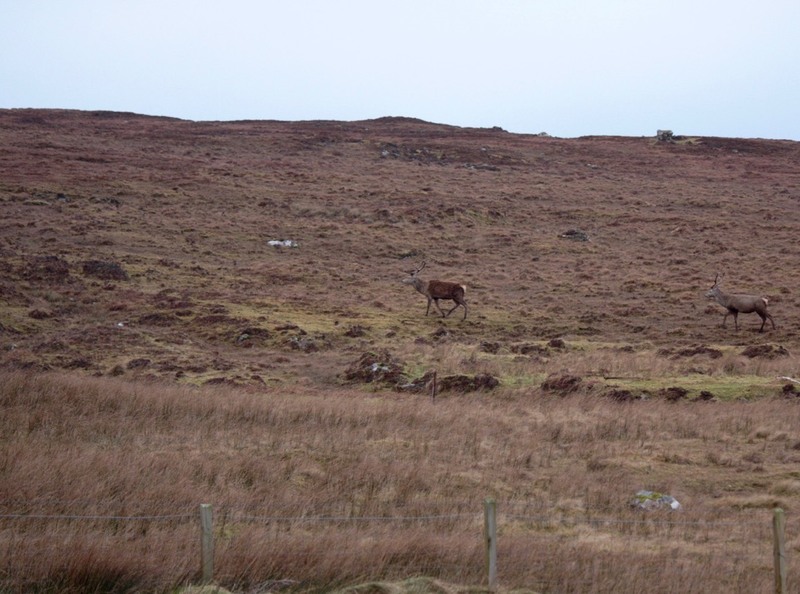 Deer passing by. 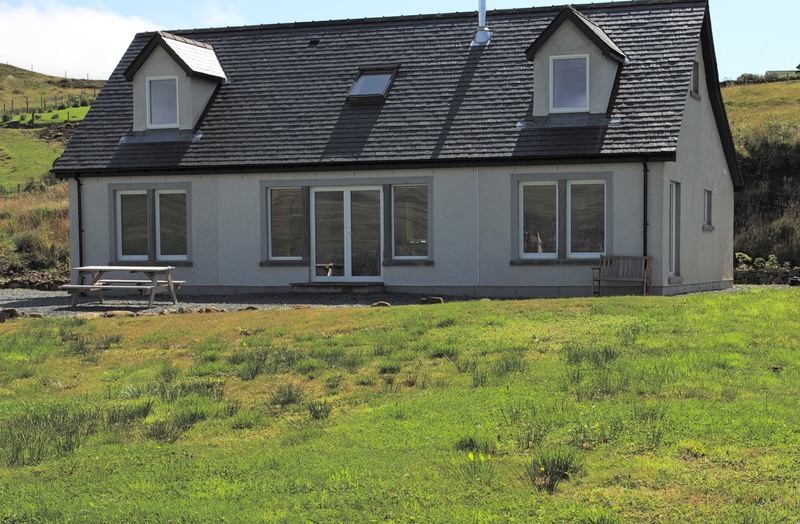 Pooltiel House, self catering on Skye Scotland on a summers day.